The Time Credits model is very simple: for every hour that an individual gives to their community or service, they earn one ‘Time Credit’. People can spend Time Credits to access events, training and leisure activities provided by public, community and private organisations, or to thank others in turn. To date, over 35,000 people have earned almost half a million Time Credits across England and Wales. The Time Credits currency is a powerful tool for encouraging more active engagement in local services and community groups, and building an individual’s social or support network. Embedding Time Credits in substance use and recovery services has been a successful development in both England and Wales. The Time Credits are used as the catalyst for an asset based approach to support planning and service design, and enable the development of co-produced services where clients take an active rather than passive role. There are a huge variety of skills, experience and resources in communities that can be forgotten or go unrecognised, and Time Credits believe taking these as a starting point for any service or activity can be the most effective way of tackling community challenges. Time Credits start by mapping local assets with local people and identifying what exists in communities that can be built on, developed or brought together in new ways. Time Credits build on people’s interests, skills and experiences, combined with local physical assets and resources, to develop and improve community and public services. There are currently over 600 spend opportunities nationwide. These spend partnerships facilitate access to opportunities that are often inaccessible to vulnerable adults with complex conditions and often low incomes. This access stimulates habitual change and helps develop personal assets further. Many positive impacts from spending Time Credits come from engaging in health or wellbeing activity, or adult education opportunities. However another key impact, particularly where we work with more vulnerable and isolated individuals, is a reduction in anxiety and increased confidence and awareness of the community assets available to them. 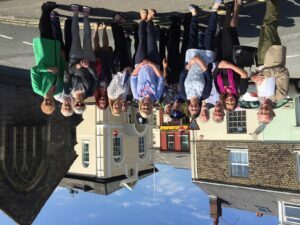 Time Credits Cornwall is a joint project between CC Transformation Challenge Award that is now operational within the DAAT and community partner agencies. The project is managed by Beth Ward who has a base at both DAAT in Threemilestones and Job Centre Plus in Penzance, enabling her to split her time between the two areas. The partnership managers, Helen Smith and Kelly Taylor share the role of building the spend network, identifying potential partnerships from feedback received through workshops and discussions with our local groups and members. A key aspect of the Time Credit programmes is creating a local Time Credits identity. Co-design sessions involving DAAT, local services and service users helped create a bespoke note, reflecting the local identity of Cornwall. The back of every note is the same so that individuals are able to spend their Time Credits across the national network of partners. 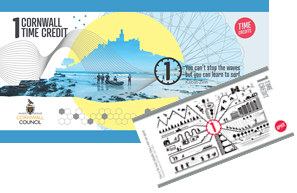 This aspect of Time Credits enables participants to use Time Credits outside their own area, for trips or family outings, and feel part of a wider national cohort of Time Credits members. Time Credits are excited to already be working with Addaction, YMCA Cornwall, Bosence Farm, Who Dares Works, Trengweath, Job Centre Plus and Homegroup and will be looking to develop further relationships and spend/earn opportunities with local groups and services as the project develops. A launch event for Time Credits at Homegroup is being held on April 20th at YMCA Cornwall. We plan to host a range of earn and spend opportunities, including an asset mapping session with volunteers and residents followed by circuit training sessions organised by local social enterprise, The Ark CIC. Time Credits are initially focusing on Drug and Alcohol and Homelessness Services in Penzance but will be moving into other substance use services in Cornwall, and eventually into other thematic settings supporting vulnerable adults. In addition to the implementation of Time Credits, Time Credits have a range of training and supporting resources that have been tried and tested in community and health and care settings, to enable organisations to develop and embed asset based ways of working. They will be facilitating training sessions starting in the next quarter, for staff, volunteers and community members in voluntary organisations, statutory services and community groups in Cornwall and you are invited to attend. Further details will be circulated by DAAT once dates have been confirmed. 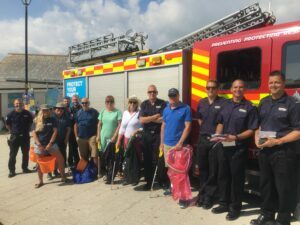 Members of Safer St Austell have come together over the last month to litter pick and repaint the walls at one of the local graffiti walls at Poltair Park and The House, which is a local youth community centre. They have also conducted a leaflet drop in the town centre to publicise how the community can report concerns and issues. 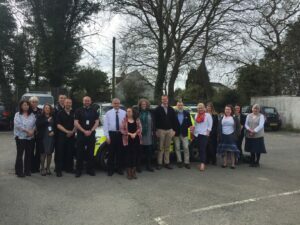 This group of partners work closely as part of Safer Cornwall, the statutory community safety partnership for Cornwall. 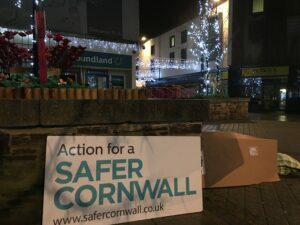 Safer St Austell was reformed in February 2017 to provide a local multi-agency co-ordinated response, consisting of the community, the local town council, charities within the area including Cosgarne Hall, volunteers, Cornwall Council’s Anti-Social Behaviour (ASB) and Community Safety Teams, Police, Office of the Police and Crime Commissioner, Addaction, St Austell Business Improvement District, Freshstart and local traders. In St Austell a combination of factors were impacting on, and giving rise to concerns within communities in relation to perceived public safety and levels of crime. The partnership joined together with the aim of; improving feelings of safety and public reassurance, reducing risk of alcohol related harm to the community and protecting vulnerable groups. The group have already been involved with; community walkabouts in the town centre to gain the views of local businesses, the identification of issues including anti-social behaviour and environmental improvements, high visibility multi-agency patrols, anti-social behaviour interventions and warnings, schemes to reduce the impact of alcohol on individuals and the community, partnership training and proactive outreach and in reach work across the town. The Town Council installed two additional CCTV cameras earlier in the year, one at Priory Car Park and one at Truro Road Park both of which are proving invaluable for the detection and prevention of crime in the town centre. 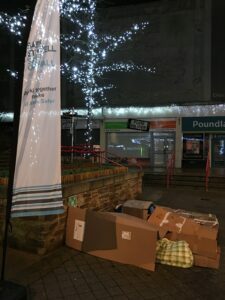 The kind contributions from those who have given to one of Truro Safe Donations Points are being used by local organisations to directly help people on the City’s streets. 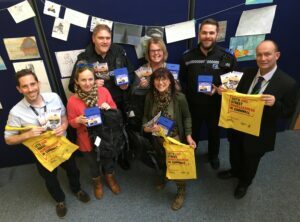 The Truro Safe Partnership consists of services from Cornwall Council along with Truro City Council, Devon and Cornwall Police, Truro BID, Truro Street Pastors and other local representatives; and is coordinated by the Council’s Community Link Officer. 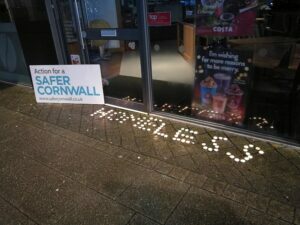 In April the Truro Safe Partnership launched donation points across Truro making it easy for people to donate money to the charities supporting vulnerable individuals to move away from a life on the streets. Along with the donation points Truro Safe distributed an information leaflet across the city called ‘Different Issues, The Same Streets’ for businesses, locals and visitors. This explains how the partners are responding to the different issues of street drinking, begging and rough sleeping by providing on the ground assertive outreach support to help individuals make positive changes. 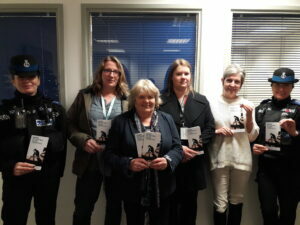 To remind people that the work of the Partnership is ongoing Truro Safe are redistributing the leaflet across the city. The Truro Safe partners also recently agreed that the collections from the Donation Points will go to St. Petroc’s and New Start so they can buy some essential kit to give to those assessed as most in need. There are currently eight donation boxes being hosted by businesses in the City including at the Visit Truro tourist office on Boscawen Street, NatWest, Warrens Bakery in High Cross, Superdry, Sole Place, Wetherspoons, Tesco and Truro Methodist Church. Extra donation boxes have been ordered so that other local businesses and venues can get involved. The partnership is continuing to meet regularly to ensure that anyone who finds themselves on the streets is provided with the most appropriate accommodation and support that helps them to address their needs. 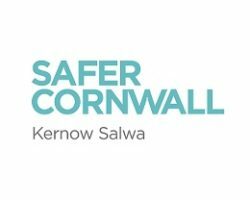 Truro Safe is part of Safer Cornwall the statutory body aiming to improve community safety across Cornwall. 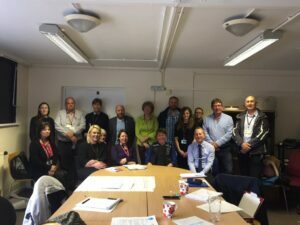 The on-the-ground assertive outreach work to support rough sleepers and vulnerable individuals is ongoing and taking place, via the Safer Cornwall partnership, in other towns in Cornwall, including St Austell, Penzance and Camborne. If you’re a business that would like to host a Truro Safe donation box please contact Truro BID on 01872 273999.